Nestled at the bottom of the Himalayan Mountains between China and India is the Kingdom of Bhutan, the last remaining Buddhist Himalayan Kingdom and Julie Larkeys’ ‘Happy Place’. With over thirty years’ experience in the travel industry, having visited seventy-six countries across her illustrious career Julie holds a special connection with this majestic Kingdom and the honour of the most travelled Australian to Bhutan “You get off the plane, the mountain air hits you and it’s like stepping back, there is a quietness, a stillness. I fell in love with the mountains, the scenery, the simplicity and the people” says Julie. Whether it be the Himalayan treks, sacred sites or the Festivals, Bhutan is like no other place on Earth. With approximately 72% of its total land area under forest cover it is one of few countries to have negative carbon emissions. Boasting only organic produce, and mainly vegetarian fare, this is a holiday for those who seek to cleanse the body and the mind. 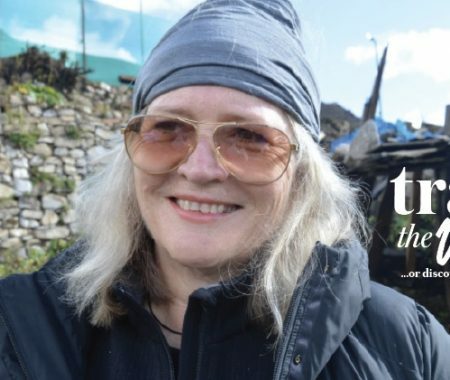 Julie will return to Bhutan with an exclusive small group tour in March 2019. Over 10 days one can experience a complete cultural immersion including the highlight event that is the Paro Festival. A fusion of food, colour, dance and song culminate making this the highlight event. For more information on the tour call CFS Travel and request an appointment with Julie.